IPL 2019 KKR vs RR Match Prediction – What will be the result? In a do or die encounter for the Kiwis to stay alive in the series, India won emphatically in the 3rd ODI to win just their second ODI series in the Maori land. 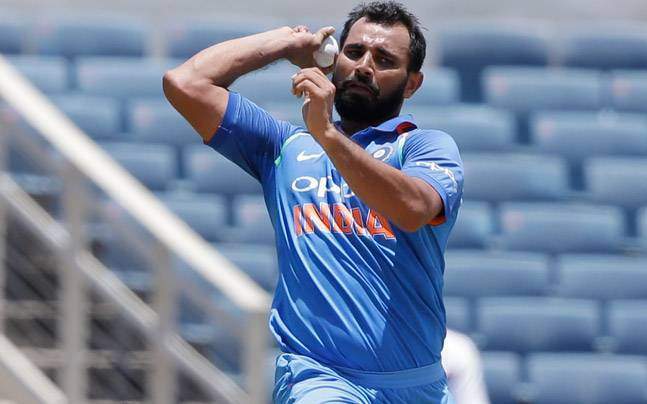 Mohammed Shami for his valiant effort of 3/41 was adjudged the Player of the Match. Having won the toss, the Black Caps opted to bat first, however, both the openers were dismissed by the Indian pace bowlers inside 6.1 overs which left the Kiwis reeling at 26/2. Kane Williamson was then undone after a superb catch by Hardik Pandya off Yuzvendra Chahal’s delivery. 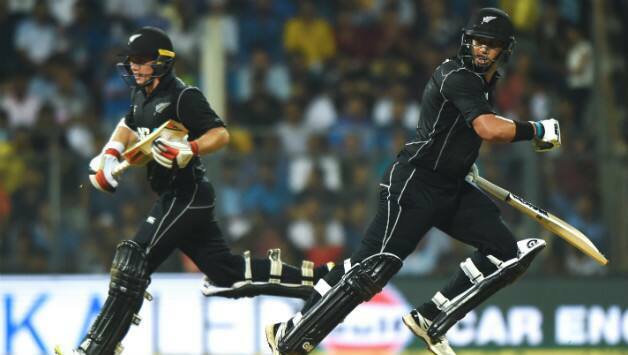 Ross Taylor and Tom Latham then steadied the Kiwi innings, as the duo went on to stitch a 119-runs partnership, thus enabling the Black Caps to a solid foundation to post a par score around 270-runs mark. In the meantime, the duo also reached to their respective fifties, before Tom Latham was caught by Ambati Rayudu in the deep off Chahal’s delivery. Soon a flurry of wickets saw New Zealand to be reduced to 198/6, which also added pressure on Ross Taylor to take the Kiwis to a respectable total. However, this pressure was too much for Taylor as he was caught behind by Dinesh Karthik off Shami’s delivery after managing to score 93 runs. New Zealand were bowled out for 243 runs inside 49 overs, thus requiring the Indians to score a below-par total of 244 runs to win the match and the series. The Indian openers once again provided a solid platform as they contributed 39 runs for the first wicket before Shikhar Dhawan was undone by Trent Boult in the ninth over. A 113-runs partnership followed between Rohit Sharma, who reached to his 39th ODI fifty, and Virat Kohli, who scored his 49th ODI fifty, thus taking the Indian total past the 150-mark before Rohit Sharma was dismissed by Mitchell Santner, after the Indian Opener was stumped by Tom Latham while trying to play a lofted shot. Virat Kohli was also dismissed by Trent Boult soon thereafter, as the Indians needed further 75 runs in 113 balls. 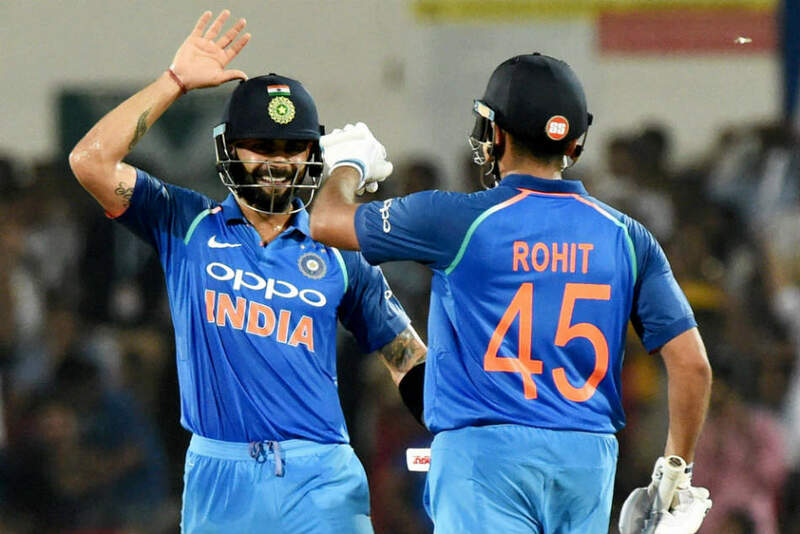 No further wicket fell for India as a fine unbeaten 77 runs partnership between Ambati Rayudu 40* and Dinesh Karthik 38* took India past the Kiwi total as the Men in Blue registered only their second ODI series victory in New Zealand. It would be now interesting to see as to with what combination should Team India play in the final two matches since Virat K0hli has been rested for the remainder of the series. It would mere pleasure to watch young Shubman Gill in action, but whether the team management will play him or would give Dinesh Karthik a chance is a mystery that will only be solved on the eve of the match. Whom do you think should be given a chance in the playing eleven in place of Kohli, expecting Dhoni to get fit? Is it Shubman Gill or Dinesh Karthik?